Agar Agar is a galactose polymer used to form jelly. As a metaphor, it’s both totally inaccurate and completely accurate in describing the music of the eponymous French duo. In a nutshell: Clara and Armand of Agar Agar show that it’s possible to have backbone and still do the limbo. They’re unconcerned with formalities or with putting on airs. 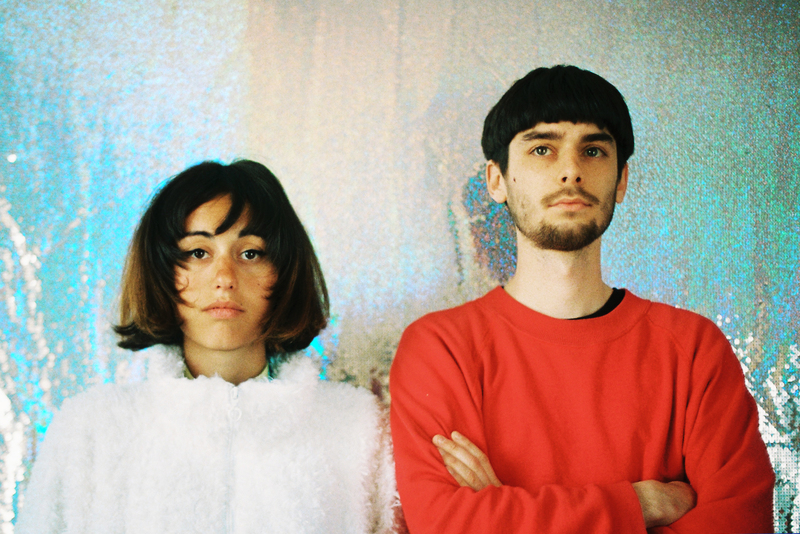 Rather, their schtick is minimal-wave-inspired pop that dances between virtual worlds and everyday life, between euphoria and disillusionment. The duo first attracted attention with the debut single »Prettiest Virgin« in the fall of 2016; next came the EP »Cardan« and the single »Fangs out«, which contrasted the cyberpunk dreams of the nineties with the social isolation of the present day. The music transforms Clara's distanced vocals and Armand's galloping rhythms into an agile togetherness that’s as flexible as it is firm—in other words, Agar Agar in its purest form.